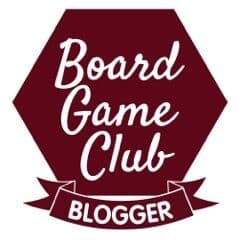 I’m a proud member of the Asmodee UK Blogger Board Game Club and as a result, I get sent one game a month, appropriate to the age of my children to play and review. 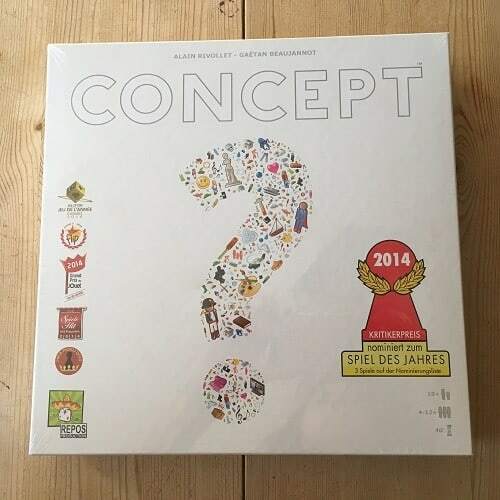 This month we have been playing Concept. 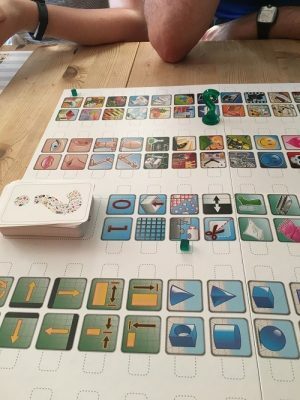 Concept is a game for 4 players, and so I had to pick a night when the whole family was home, which has proved spectacularly difficult during this end of term time. On evenings when both children were home (not many) either my husband was working late or I had an evening activity of my own. As to weekends, not a hope! But finally we all got round a table to give this intriguing game a go. 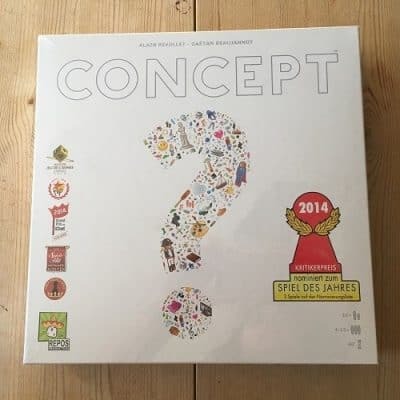 The best way I can describe Concept is like the old fashioned game of charades, but turned into a board game rather than a physical miming game. I used to really enjoy playing Charades, so I thought this could be fun! 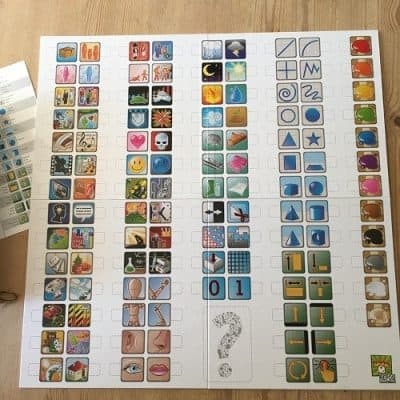 In the game as it is set out, two players working together have to place the clues on the board and the other two players have to guess what the ‘concept’ is. Here’s an example – the big question mark counter shows what the main thing that we are looking for – in this case a word or phrase. The word or phrase includes a bit, piece or fragment and something to eat or drink. The correct answer is ‘a piece of cake’. Here’s another one which I didn’t photograph. You can use different coloured counters to indicate sub concepts as follows. The game was made more fun by the fact that two players were trying to give the clues , but they couldn’t really communicate with each other either, so sometimes a person laid a clue which the other one didn’t get, like the cube for boxing, above. Some of the answers are really tricky too – no idea how you would portray some of them. We really enjoyed trying to place the counters to illustrate the concepts and trying to guess them. There were some lucky guesses, and only one that we couldn’t guess at all. It was clear who the winner was and the best at placing and guessing (my daughter), but all in all we weren’t too keen on the way that the scoring was done and the winner decided, even though in our case the winner was clear. I would probably agree with this, and would also add that a small amount of alcohol (maybe even for the teens) might have helped a bit to get everyone in the right frame of mind for the sort of crazy thinking needed to do well at this game. We all want to play it again though, and the children said they would like to play it when their friends come round. I think that Concept would go down well in the traditional Charades spot, ie. after Christmas lunch when the whole family is gathered round the table a bit worse for wear, or at any other family gathering. I’m fairly certain we will play it again, although we might decide to make up our own rules next time!